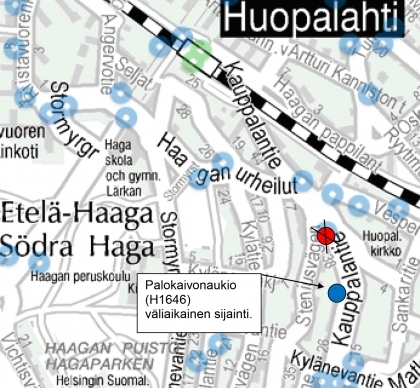 The "Palokaivon aukio" bus stop 1646 located on Kauppalantie will be relocated some 90 meters forward at 10am on Wednesday 2 November. The relocation is due to district heating mains works. The stop served by route 31, 40 and 41 will remain in the temporary location for about a month.